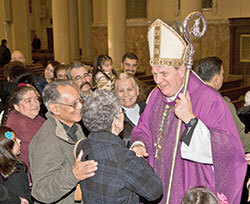 The roots of Cardinal Joseph W. Tobin’s vocation as a priest extend to his years growing up in a family of 13 children. He also learned to pray, especially for vocations. His parents supported Cardinal Tobin in his discernment without putting pressure on him. Cardinal Tobin in part discerned a call to life as a member of the Congregation of the Most Holy Redeemer, commonly known as the Redemptorists, because members of that order staffed Most Holy Redeemer Parish, his home parish in Detroit. Cardinal Tobin entered a Redemptorist high school seminary in Wisconsin, and became a novice in the order after his second year in college. During that year, he was faced with the challenge of learning how to enter into contemplative prayer. During his years of religious and priestly formation, Cardinal Tobin entered more and more into the missionary spirit of his order. His pastoral work, largely carried out in an African-American parish in the inner city of St. Louis, was part of his preparation for ministry as a priest, which he began after being ordained in 1978. 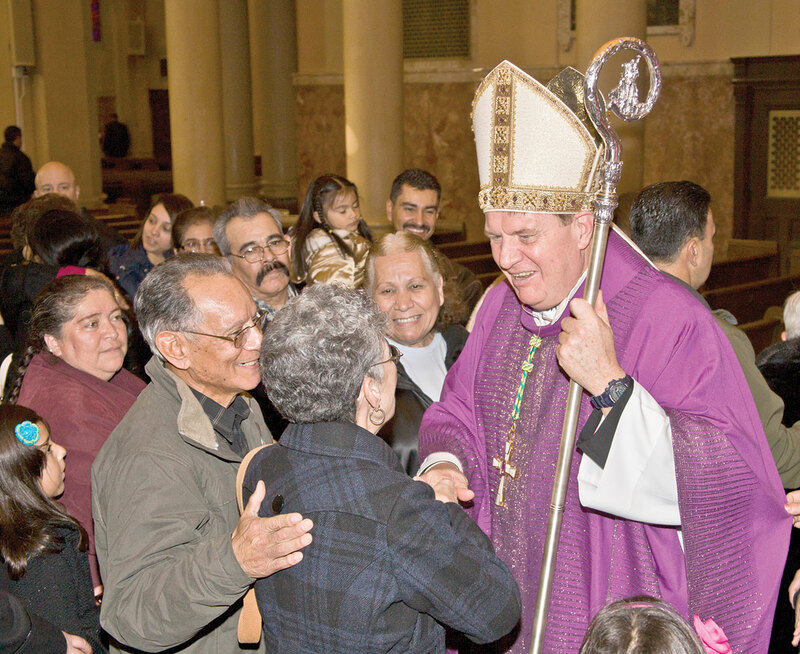 Yet while his order spread to dozens of developing countries—prime mission territory—Cardinal Tobin was assigned after his ordination to his home parish, Most Holy Redeemer in Detroit, to serve its growing Hispanic community. “I went back to my room and cried,” he said. “I had the notion of being a missionary. In my horizon at that time, being a missionary didn’t mean going back to where you started. He thought again of it when he received the news that Pope Francis had selected him as a cardinal.